I love Orchids, they have an elegance that is all their own. Although This stamp is from the Stampin’ Up! set Calming Garden and although it is more of a brushstroke variety, the Orchid is still lovely. 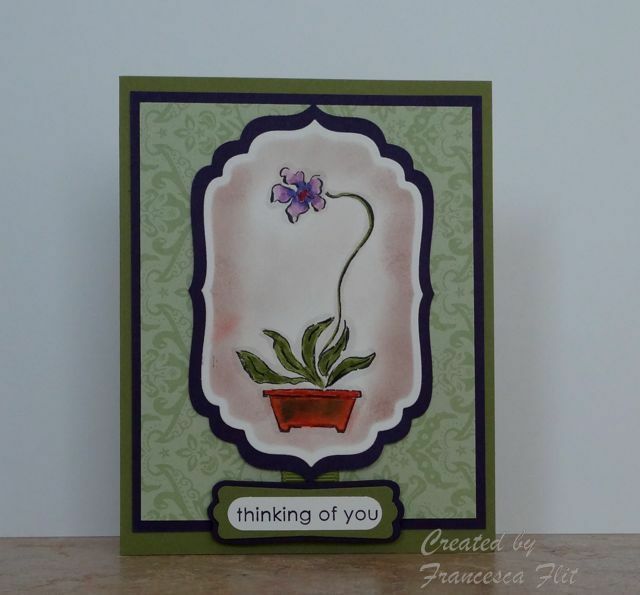 I chose Elegant Eggplant and Old Olive for my color combo for this card. 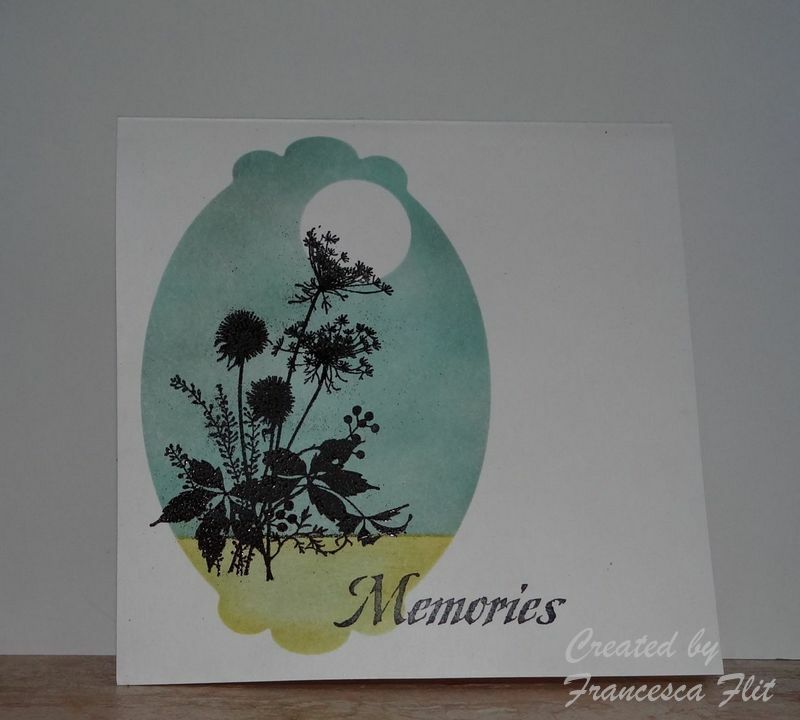 I stamped the image in Versafine Onyx Black on Whisper White cardstock. I colored the image with Stampin’ Up markers and a water brush. I die cut it with Nestabilities Labels Four, sponged around the image while it was still in the die to create the masked white frame and matted it in Elegant Eggplant. I used a Stampin’ Up! Designer Series Paper for the background, matted it in Elegant Eggplant and mounted on an Old Olive card base. I stamped the sentiment from Stampin’ Up Teeny Tiny Wishes in Versafine Onyx Black on Whisper white and punched it out with the Stampin’ Up Word Window punch. I used the Stampin’ Up Modern Label Punch and matching die for the mats. I added a small bit of 1/2 inch Old Olive Grosgrain Ribbon bridging the image and the sentiment. 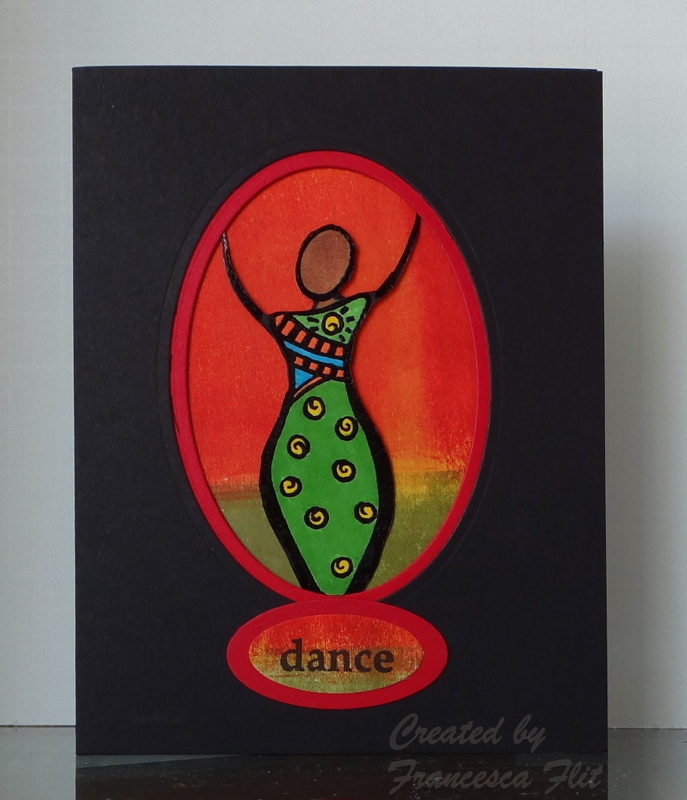 I have had this bare rubber Dancing Lady stamp for several years and have never used it and knew I wanted to use it for this challenge. The color palette came from a Mola I have hanging in my studio. I bought it when I was in Panama in 1978 and I still love the vibrant colors. I also made this card for today’s Technique Lovers Challenge on Splitcoaststampers, TLC380 ~ Either/Or, but Both is More ~. I chose to do the See Through Image technique for this card. 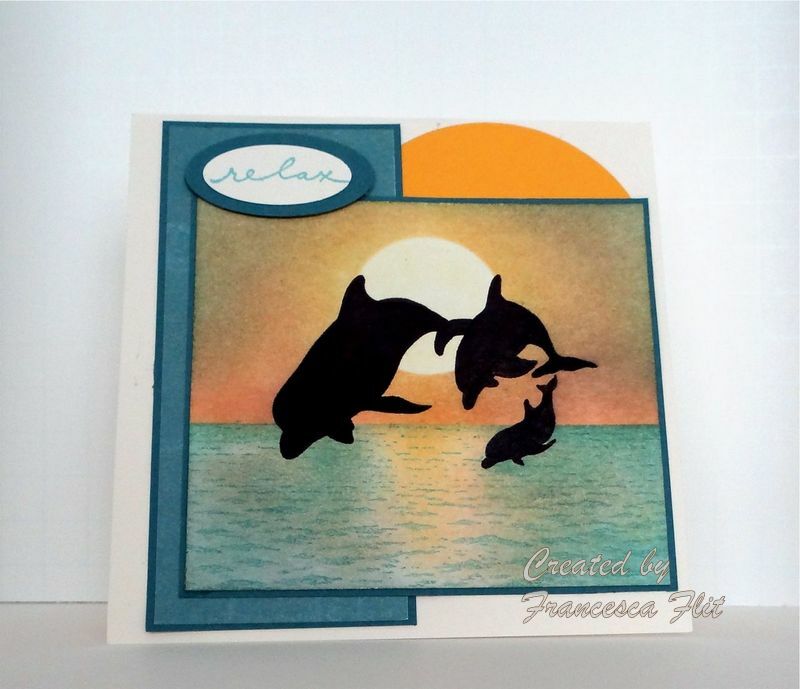 The brayered background was a leftover from a card I made in Sept. 2009 using Dusty Durango, Summer Sun and Old Olive, guess it was about time to put it to good use! I stamped and embossed my image in black and colored it with Yo Yo Yellow, Tangerine Tango, Green Galore and Tempting Turquoise markers. I centered my image on a Nestabilities die that was a bit smaller and traced around it. Using a combination of craft knife and scissors, I cut out all but the stamped image. I cut an oval mat in Real Red and layered it over the brayered background. I cut a black mat and mounted it on a black card base. I used a leftover piece of the brayered background, stamped the sentiment and cut with a Stampin’ Up! Sm Oval punch and layered over a Real Red mat cut with a Stampin’ Up! Lg Oval punch. Even though this card is a huge departure from my usual style, something about it speaks to me. CAS Summer 2012 DT Search Challenge #1, Take Two! So, I ran some errands yesterday morning and when I got home I checked my email to find a comment that my submission for the CAS Summer 2012 DT Search Challenge #1 was an “on the border” card when it comes to the conservative criteria for the contest because it takes up most of the white open space. I looked at the clock, 11:40 am. The deadline was 12:00 pm, so I grabbed whatever was on my desk and went to work! I just got this Wildflower stamp by Endless Creations and I had never stamped it, was sitting there waiting for me to give it a test run. The blue inks and sponges were out from last night when I did the image panel for my sketch challenge card. I had the mask from a Nesties Label that I decided against using the other day, so I pulled out my greens and off I went! This was a one and done card, no time to fool around. 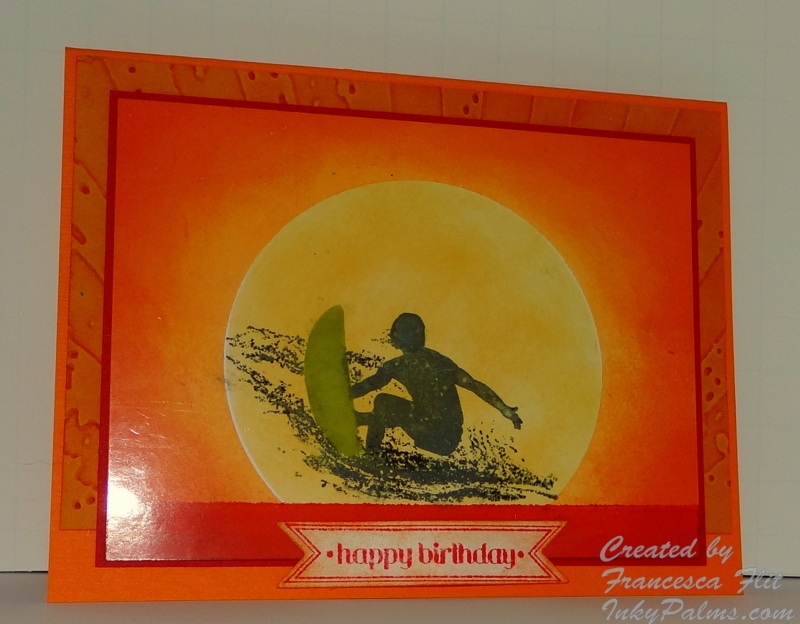 I finished a card, photographed it and uploaded, all by the noon deadline! 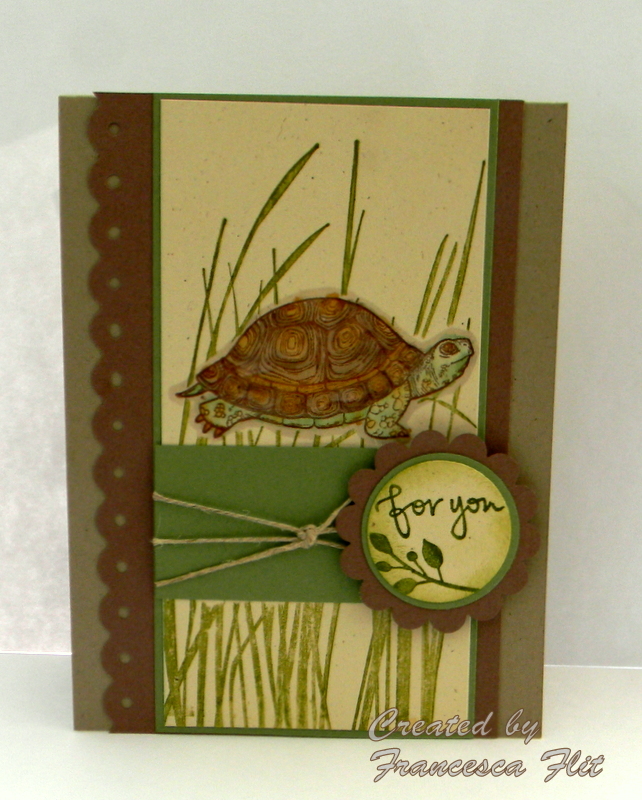 This is the card I made for Wednesday’s Sketch Challenge SC386 on Splitcoaststampers. This is a cool sketch, I will definitely be giving it another go! For my image panel, I sponged the top half with Barely Banana, then masked the sun and sponged the with Apricot Appeal, Soft Sky, Baja Breeze and Basic Gray. For the bottom half, I stamped the Coronado Island Water stamp and then sponged the sun’s reflection in Barely Banana. 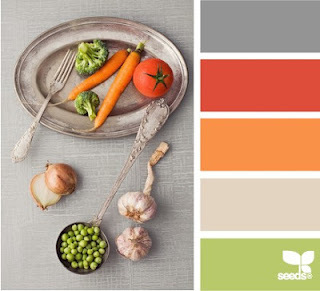 I continued sponging with Apricot Appeal, Soft Sky, Baja Breeze and Basic Gray until I achieved the look I was going for. Then I stamped the PSX Dolphin Family in black and colored them in with a black Sharpie to create the silhouette. 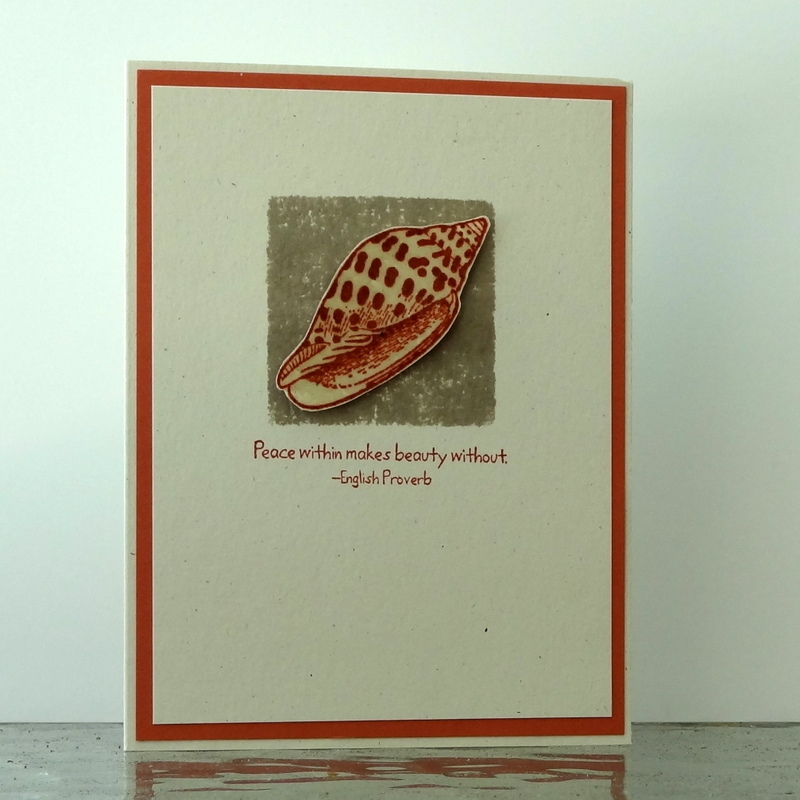 The sentiment is from Stampendous, cut with Stampin’ Up punches.